Plexiglass Sheets, Fiberglass, UHMW, Polycarbonate & Engineering plastics: How do I remove adhesive and labels from Plexiglass? How do I remove adhesive and labels from Plexiglass? These two products do a fine job of dissolving the adhesive from labels, price tags and even paper masking paper that has dried out. Masking paper is the toughest and you have to soak the masking paper with the kerosene - it may take 15-30 minutes to get through the paper to the adhesive and loosen it. If you're lucky, the paper will peel off. If it appears you have to scrape a little, you must use a tool that is softer than the acrylic/plexiglass. That would be a plastic kitchen tool/spatula that is usually HDPE material. Don't use metal. Please. WD-40 is great for small stickers/price tags that you need to remove. Spray a little on the tag, and in minutes you can peel off. 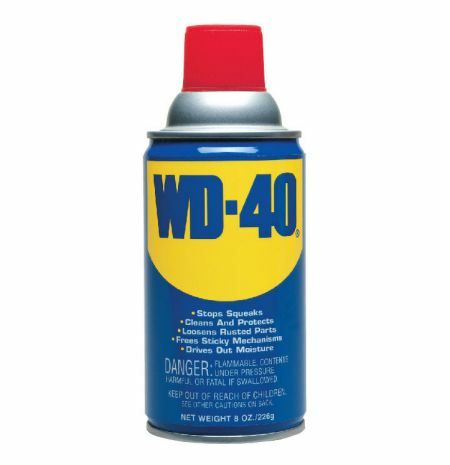 CLEANUP - use dish soap and water to remove the WD40 and Kerosene. Wipe with soft cloth. 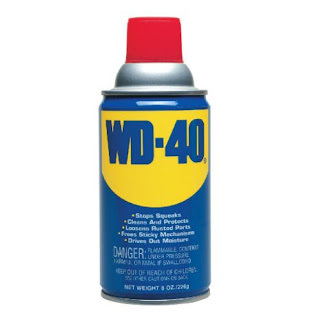 Note: WD-40 was invented right here in San Diego (Water Dispersing formula #40) - a must for every tool kit.